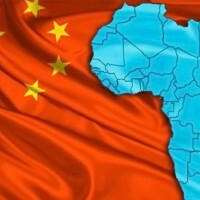 The UNESCO Institute for Lifelong Learning (UIL) is pleased to announce that the winners of the 2019 UNESCO Learning City Award are: Aswan (Egypt), Chengdu (China), Heraklion (Greece), Ibadan (Nigeria), Medellín (Colombia), Melitopol (Ukraine), Petaling Jaya (Malaysia), Santiago (Mexico), Seodaemun-gu(Republic of Korea), and Sønderborg (Denmark). 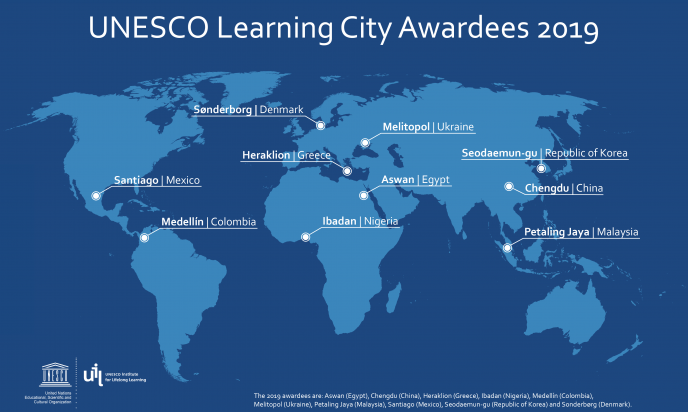 According to the Learning City Award Jury, these cities have shown exemplary progress and commitment to promote education and lifelong learning at the local level. Petaling Jaya, Malaysia, has made great strides to improve access to public learning spaces, providing free bus services across four city routes, which also double as information disseminators through their on-board screens. The city is also making good use of the resources provided by the partners. In the Mexican city ofSantiago, citizens have access to a great range of free classes, including robotic courses for children and anti-bullying training. The city has also developed a framework of indicators that enable the monitoring and evaluation of its learning city development progress. ΚΑΤΗΓΟΡΙΑ Ειδήσεις ΕΤΙΚΕΤΕΣ fSantiago, Heraklion, Medellín, UNESCO. ΠΡΟΣΘΗΚΗ ΣΤΑ ΑΓΑΠΗΜΕΝΑ.